On Tuesday the 27th, Avrie and I headed north on the 5 freeway in search of snow. Growing up in southern California, I haven't had too much experience being in this strange substance, so I figured we would take a day to search for some nearby fields we could play around in. We only ended up driving 45 minutes to the Frazier Mountain area, and what we found was pretty satisfying. Take a look. This little tike had the best run of the day. 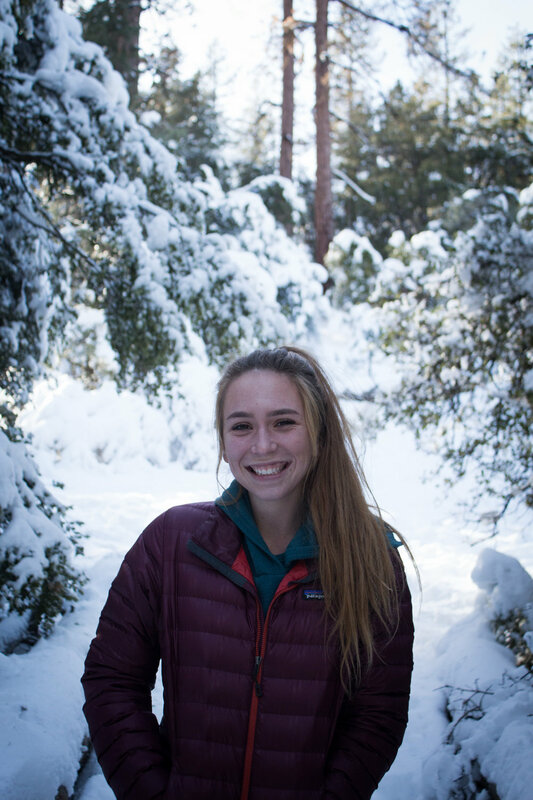 Avrie was born in Indiana and spent a few years there until she moved on to Colorado and California, so she is not a stranger to colder weather. I love watching seasons change. Boiling water for some coffee, #vanlife style. A gift I received for Christmas. John, you know me too well. Yours truly, in action. Thanks for the photo, Aves. What did I learn from this day? Snow is fun. And you don't have to travel far to find what you're looking for. It may just be right in your backyard.